It is our policy to pursue preventative medicine for all patients. All our health care professionals are able to advise on illness and disease prevention. Our practice nurses run a variety of special clinics for asthma, diabetes and heart disease and patients with these conditions are invited to attend at regular intervals for a health review. It is recommended that all women aged 25-49 years have a smear every three years and women 50-65 years have a smear every five years, unless they have had a hysterectomy. Patients will be invited by letter when a smear test is due. The Poole Hospital NHS Trust mobile breast screening unit visits our area at regular intervals and mammograms are offered to women aged 50 65 years. Certain minor surgical procedures, not requiring a general anaesthetic, can be carried out at the surgery. 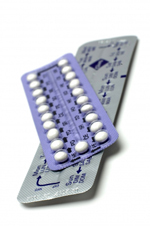 Contraceptive advice is offered by all the doctors and practice nurses during routine surgeries. If you are due to order a repeat oral contraceptive please complete and return the oral contraceptive repeat form below. All our doctors are on the Obstetric List and are happy to share in your antenatal care in conjunction with our midwives and the specialist facilities at Poole and Wimborne Hospitals. Appointments for antenatal care can be made with the midwife or doctor. 6 week baby checks are carried out by the doctors. Additionally, the health visitors arrange regular paediatric checks and run baby and under ones clinics. Appointments will be sent to parents for scheduled checks. Childrens vaccinations are carried out by the practice nurse. Immunisation is essential for protection against potentially debilitating, or even fatal, diseases. You will be sent a reminder card in accordance with the immunisation schedule (see page 15). If you have any worries or concerns about your child receiving vaccinations, our doctors and health visitors are available for advice. An influenza vaccination is particularly recommended for patients over 65 years of age and those patients with chronic respiratory disease, heart, lung or kidney disease, chronic liver disease, immunosupression and diabetes. Patients at risk are invited to attend our special flu clinics which are usually during October and November. 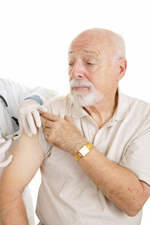 In most cases, this is a once only vaccination recommended for older patients and certain at-risk groups. We are participating in the Department of Healths immunisation programme and patients who fall into these categories will be invited to receive the vaccine. Please make an appointment with the practice nurse at least 8 weeks in advance of your travel date. A charge will be made for certain immunisations which are not covered by the NHS. A list of these charges is available from our receptionists. The practice runs a home blood pressure monitoring service for those patients whose blood pressure requires short term or regular monitoring. Patients are referred to this service by their doctor and will receive a letter inviting them to arrange to borrow one of the surgery BP machines. The readings can be recorded on our home monitoring form and returned to the practice with the monitor. Our Nursing Assistant acts as the practice lead for Carers and can provide information and support for those who are looking after a relative, friend or neighbour who cant manage without their help. We are fortunate to have an independent pharmacy operating from within the surgery. The pharmacist is able to offer advice to patients and liaises closely with the doctors. Some of our services fall outside the NHS and charges are made for these. Services include private medical certificates, various medical examinations for sport, school, pre-employment, HGV licences, elderly drivers and some immunisations. Please ask our reception staff for full details. Infectious day before rash appears until spots are dry. No need to see the doctor unless very unwell / distressed. Give plenty of fluids. Paracetamol to lower a temperature. Baths, loose clothing and calamine lotion can ease itchiness. Infectious few days before rash appears until five days after it goes. Non-itchy rash (red slightly raised spots; may become blotchy). Unwell with cough and high temperature. No need to see the doctor unless very unwell. Give rest and plenty to drink. Paracetamol to lower the temperature. Vaseline around the lips protects the skin. Wash crustiness from eyelids with warm water. Infectious a few days before becoming unwell until swelling goes down. Pain around the ear or discomfort when chewing. Swelling under the jaw up by the ear. No need to see the doctor unless child has stomach-ache and is being sick. Child may not feel especially unwell. Paracetamol to ease pain in swollen glands. Give plenty to drink but not fruit juices as they make saliva flow, which can hurt. Infectious a few days before illness starts until a week after rash first appears. No need to see the doctor. Child doesnt usually feel unwell. Give plenty to drink. Keep child away from pregnant women (or those trying to become so). If child was in contact with anyone pregnant before illness became known, let them know. Infectious from first signs of illness until about 6 weeks after coughing unless antibiotic given. A gradually worsening cough. Coughing bouts start after about 2 weeks causing exhaustion and breathing difficulty. Sometimes, but not always, there is a whooping noise as child draws breath after coughing. 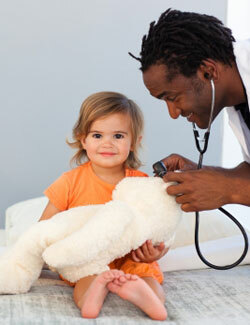 Contact the doctor if child has a worsening cough with longer and more frequent fits of coughing. It is important for the sake of other children to know whether or not it is whooping cough. It takes some weeks before the coughing fits start to die down. What is the Tracker Service? There are many local services available to patients to support them with their ongoing medical, social and psychological needs. We recognise that many people may not know what support there is available to them and how a little help may go along way to help them gain a better quality of life. Our aim of our Tracker Service is to ensure patients who may benefit from this service are followed up and their needs properly assessed. Our Tracker Service will seek to provide information and, wherever possible, suggest services which may help ensure the patient is receiving the appropriate level of supportive care according to their individual circumstances. The role of the Tracker Service is then to contact providers of local services and coordinate and put in place the necessary support. This will only be done with the patient’s full knowledge and agreement. Would you or someone you know benefit from this service? Our Nursing Assistant, Shirley Bagg, is the main point of contact for our Tracker Service. She is supported by our Lead Nurse, Laura Liddiard. Shirley will also liaise closely with our Practice Nurses, Doctors and District Nurses. Non-urgent messages can also be left on this same number outside of these hours or when Shirley is out of the office meeting with patients. A Carer is someone who, without payment, regularly helps a disabled, ill or frail, relative, friend or neighbour. There is also an organisation called “Help and Care” - telephone number 01202 434455 - they hold free fact sheets on 26 topics relevant to Carers and will visit you or offer support when you ring them. Click on the 'Carers Direct' link on the right of this page under the Further Information menu for more information and support for Carers. What is NHS Health Check? An NHS Health Check aims to help you lower your risk of four common but often preventable diseases: heart disease, stroke, diabetes and kidney disease. It’s for adults in England aged between 40 and 74 who haven't already been diagnosed with any of those four diseases. If you're eligible for an NHS Health Check, you’ll be invited for a check once every five years. At the check, your risk of heart disease, stroke, kidney disease and diabetes will be assessed, and you’ll be offered personalised advice and support to help you lower that risk. The introduction of NHS Health Check across England started in 2009, but full implementation of the programme will take some time and is not expected until 2012/13. This means that some people may not receive their invitation to the check until after this time. Local Primary Care Trusts (PCTs) will decide who to invite first, and how to contact people. In the meantime, if you're worried about your health, contact your GP in the usual way. The checks are likely to be offered in some local pharmacies as well as at the GPsurgery. They may also be offered at other suitable and accessible locations in your community. Walford Mill Medical Centre now has a specialist health coach within the surgery to support you to feel more confident about managing your health and the impact it has on your day to day life. Managing life with a health condition isn't always easy. We know that understanding and keeping track of medications, treatments, tests and appointments with healthcare professionals are important, but also that a health condition affects our emotions, how we feel about ourselves, our social life, hobbies and day to day routines at home. Feeling confident managing all of that can be a challenge. At Walford Mill Medical Centre we have a health coach as part of our team. Clinical healthcare professionals like doctors and nurses can be really important to help us manager the medical aspects of our health, and health coaches can help us manage the emotional and practical impact in our day to day life. Our health coach, is based here at Walford Mill Medical Centre on Wednesdays each week, and are part of our team here to support you. Lots of patients and their carers say how hard it is when healthcare professionals only have 10 minutes, but health coaches have up to 45 minutes for each session to listen to you and support you. Your GP, practice nurse or any member of the reception team can refer you to see the health coaches, so if you are interested in this, please mention it to one of the team at Walford Mill Medical Centre. Completed forms can be emailed to walford.mill@nhs.net. Please ensure patient name and date of birth are available on all returned forms so the patient can be clearly identified by the practice.